Australian based textile artist and designer Liz Sofield is a New Zealander whose passion is sparked by the very old and the new, from Tapa Cloths of the Pacific Islands and the beautiful art of origami and that is clearly shown in her delicate works. 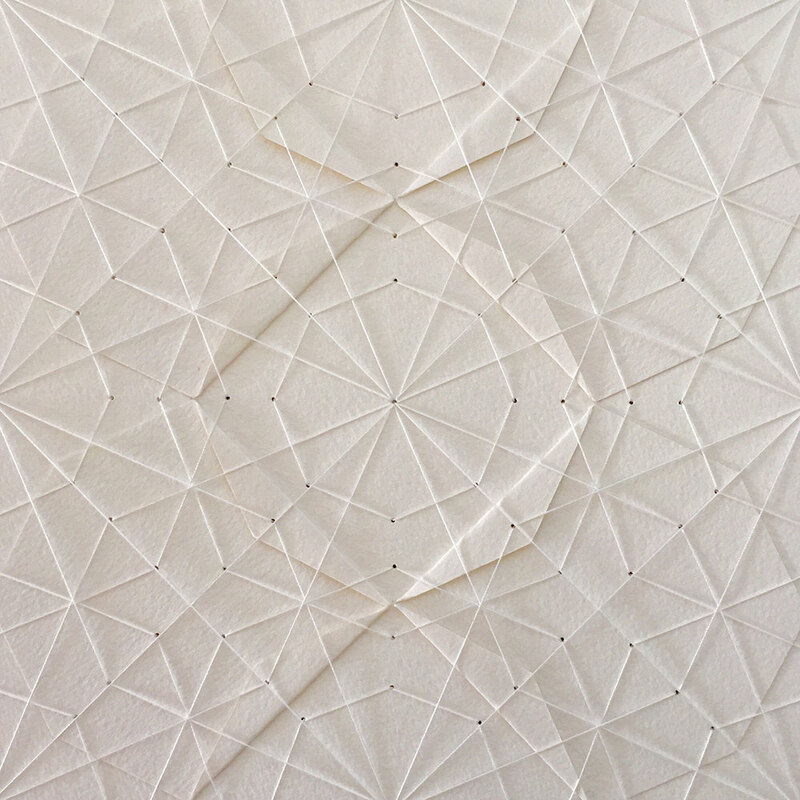 With the use of a simple medium such as thread and paper, Liz is able to develop her artwork as a tactile and contemplative process that expresses her love of patterns and geometry and it translates so beautifully once folded and transformed into these stunning works of art. "Noticing the Unnoticed: Experiencing Nature Through Paper" was a part of an exhibition created by the naturally talented Huey Ming Lee. She is a graphic designer from Auckland, New Zealand and she creates these very superb paper sculptures, as you can see, that are inspired by beauty in nature.